A midwinter day of cold, clear, sunny weather on Scotland’s West coast. 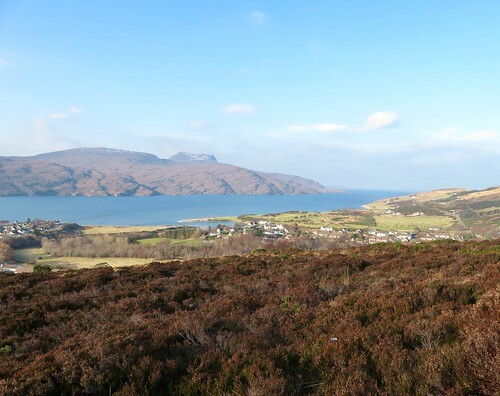 I lingered on the braeside above Ullapool, looking down at the sunlit town and across the loch to snow-streaked mountains beyond. From here you can appreciate why the British Fisheries Society chose the place in 1788 for development as a herring port. The little town huddles on its headland near the sea entrance to Loch Broom, sheltering the harbour with the fishing boats and big Calmac ferries. 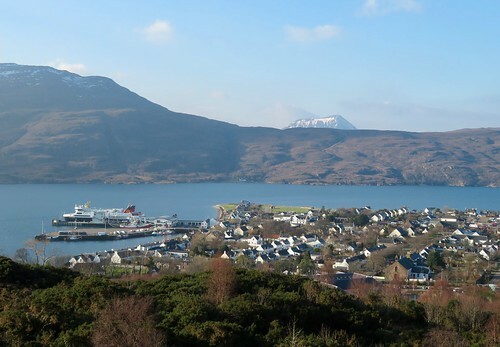 Millions of herrings made Ullapool’s fortune early in the 19th century; then again in the 1970s when Iron Curtain factory ships processed millions more and flooded the pubs with thirsty crew members. 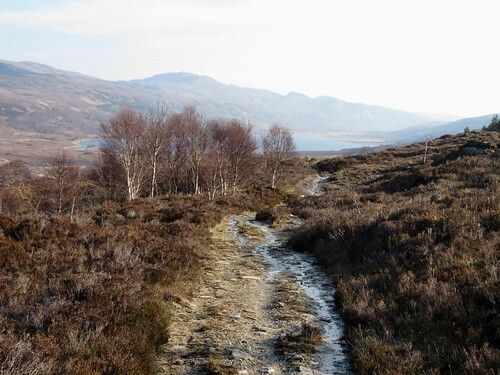 The stony path rose up the hillside through clumps of flowering gorse and winter-dried heather. Ahead the view opened out through the jaws of Loch Broom to the hummocky shapes of the Summer Isles, romantically named, hard as hell to scratch a living from, lying ten miles out to sea. Soon the way forked at a bench. 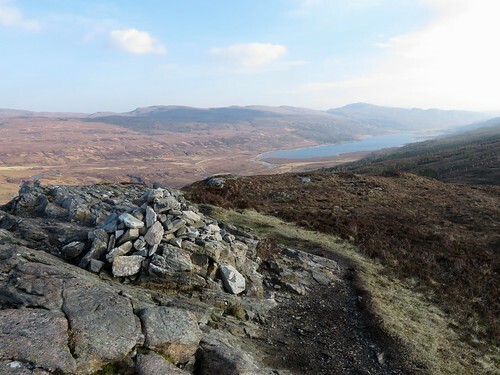 I climbed a tinkling granite path to the little cairn at the crest of Meall Mòr. A sensational mountain prospect to all quarters – Sàil Mòr blotched with snow, Beinn Ghobhlach like a khaki tent in the west; a jumble of peaks around the three-thousand-foot Beinn Dearg in the east; and the north closed by the snowy beast-back of Ben Mor Coigach. * NB These variations on Beinn and Ben, Mòr and Mor are correct according to the map and online references. Back on the main path once more I skidded over icy rocks and through frozen puddles, descending to where Loch Achall lay in its lonely glen. The water shone a deep ice-blue. 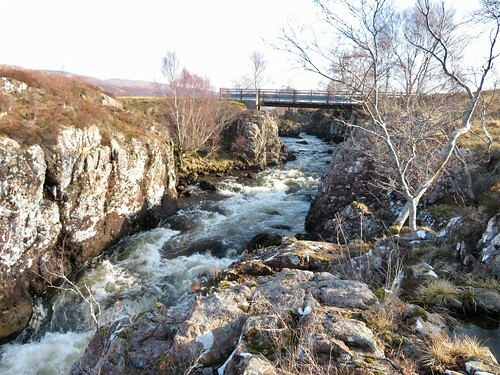 There was not a sound, not even from the dipper flirting its white breast among the stones of the Ullapool River. If there was a more beautiful spot in all Scotland to sit and stare just now, I couldn’t imagine it. 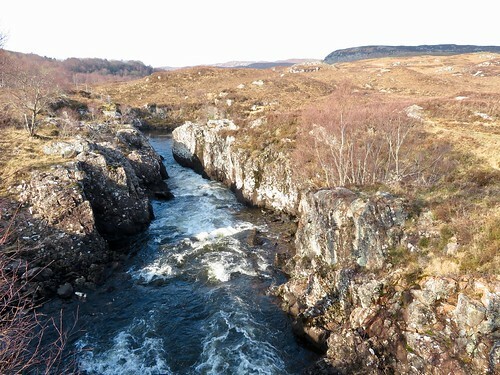 I crossed the river where it charged in glassy grey surges through the rocky narrows of Eas Dubh, and crunched back to Ullapool along the glen road with a pair of buzzards circling close overhead, mewing in courtship to one another like the first promise of spring. 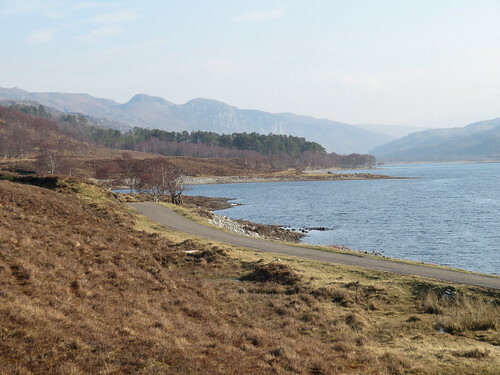 Road – Ullapool is on A835, signed from Inverness. Car park (signed ‘Latheron Centre’ off Quay Street) is next to Tesco. Walk (7½ miles, moderate hill walk, OS Explorer 439): Walk back to cross Quay Street. Down Market Street; left along A835 (131942). In 350m, take 2nd of 2 right turns into Broom Court (130945). Through kissing gate/KG ahead (orange arrow, ‘public footpath’). Path climbs steadily. In 450m, it bends left (134944); in 300m, right at bench (132946) up path (red/white post). In 350m pass topograph (136947); in another 400m fork left in hollow (139946, red post). In 100m, right at bench (red post) to climb Meall Mòr (143947) and return to bench. Right on path for 1 mile; at 2nd tall KG (154951), go through; left (white arrow) to track; left to road; right across bridge (155953) to Loch Achall outflow (163956). Right on riverbank track to road (157955); left for 1¾ miles. Pass working quarry on right; in another 200m, left by cattle grid (132951, ‘Ullapool Hill Walks’ fingerpost) on path (green post). 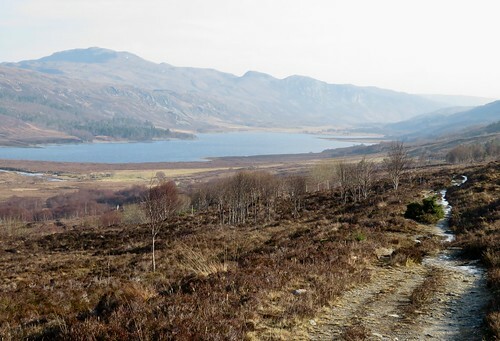 In 350m, at fork with green post in middle (133948), right to bench (132946) and outward path to Ullapool. Accommodation: Tanglewood House, Ullapool, Highland IV26 2TB (01854-612059, tanglewoodhouse.co.uk) – immaculate, comfortable, superb loch-side position.